Despite our global love of smartphones, some museums, curators, and cranky culture types like to complain about people using their phones in museums instead of experiencing the art au natural, so to speak. 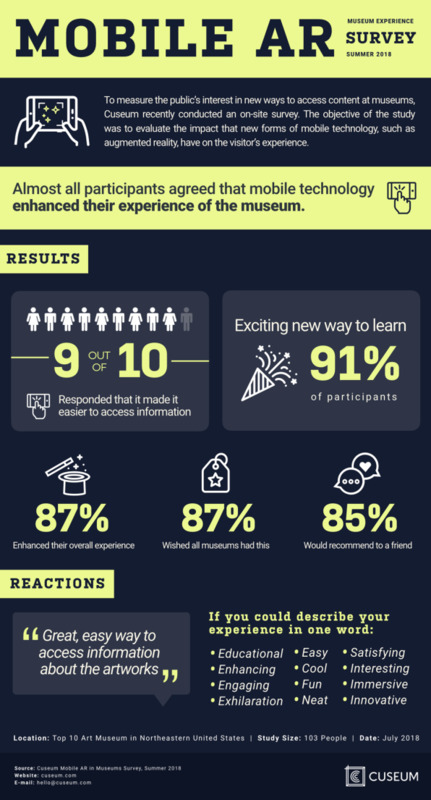 But a new survey shows that smartphones and mobile technology can actually enhance the museum-going experience. In short: Phones are here to stay and museums should go ahead and get on board.